Birth date : June 25, 1947. Birth palce : Mumbai, India. 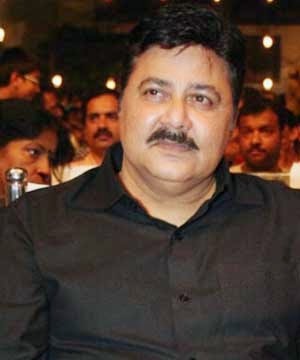 Birth Name : Satish Ravilal Shah. Education : St. Xavier's College-Autonomous, Mumbai. T.v. Shows : Sarabhai vs Sarabhai, Filmi Chakkar, Dhamaal, All the best, Yeh Jo Hai Zindagi, etc. Famous Films : Ramaiya Vastavaiya, Khichdi: The Movie, Banda Yeh Bindaas Hai, Jaane Kahan Se Aayi Hai, Horn 'OK' Pleassss, Dhoom Dadakka, Om Shanti Om, Deewana Tere Naam Ka, Love Ke Chakkar Mein, Ramji Londonwaley, Bachke Rehna Re Baba, Mujhse Shaadi Karogi, Out of Control, Love at Times Square, Tujhe Meri Kasam, Jeena Sirf Merre Liye, more. "Satish Shah" is a very wonderful personality throughout his film career he played a tremendous role in all fields such as comedian villan hero drama and also in all types of negative and positive roles. He is very honest to his work. Any of his tremendous films when comes in mind all make us happy sad and proud. All his movies makes him a very huge personality. He always did the full disambiguation with all his roles offered to him. He is also very successfull in both his social and his personal life. His name will remains in golden words always in bollywood history. 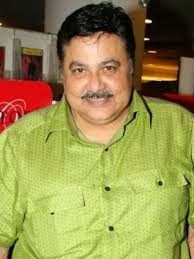 Recent Tag : Satish Shah Bibliography, Satish Shah life history, Satish Shah films, Satish Shah Best movies, Satish Shah birth detail, Satish Shah date of birth, Satish Shah image.